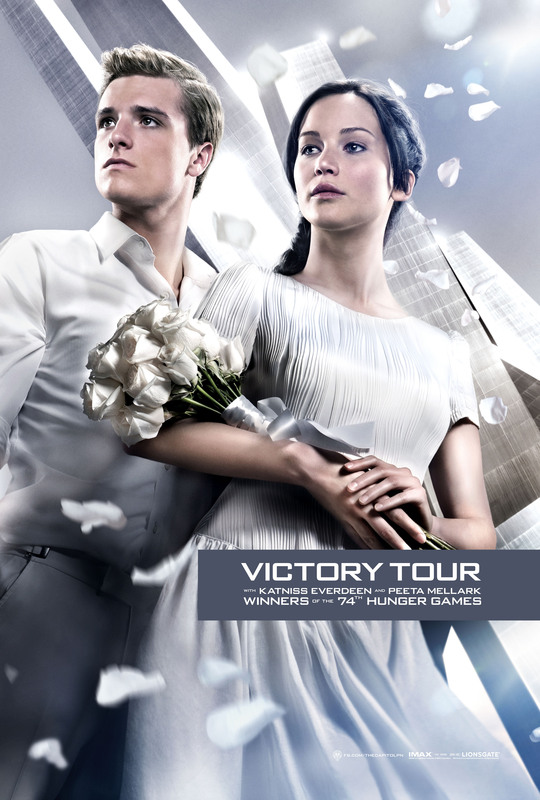 Official Catching 불, 화재 Poster- Katniss and Peeta [HQ]. . HD Wallpaper and background images in the Peeta Mellark club tagged: the hunger games peeta mellark peeta movie katniss everdeen josh hutcherson jennifer lawrence catching fire 2013. This Peeta Mellark photo contains 명예의 신부 들러리, 하녀, 신부 들러리, 하녀의 하녀, and 들러리.